The Mid-winter Waterfowl Survey is a nationwide effort to survey waterfowl in areas of major concentration on their wintering grounds and provide winter distribution and habitat affiliations. This survey also serves as a primary source of data on population trends for some species that breed in remote Arctic locations and are difficult to survey using traditional methods. Therefore abundance indices for some of these species are obtained from surveys on wintering areas. For species not covered in other population surveys these indices provide direct inputs into management programs such as harvest management plans. This survey was first conducted in 1935 and is the oldest operational survey still being conducted annually. The survey served as the principal source of information for regulations-development each year until 1955, when operational breeding ground surveys were initiated. In January of each year, Texas Parks and Wildlife Department, with assistance from the U.S. 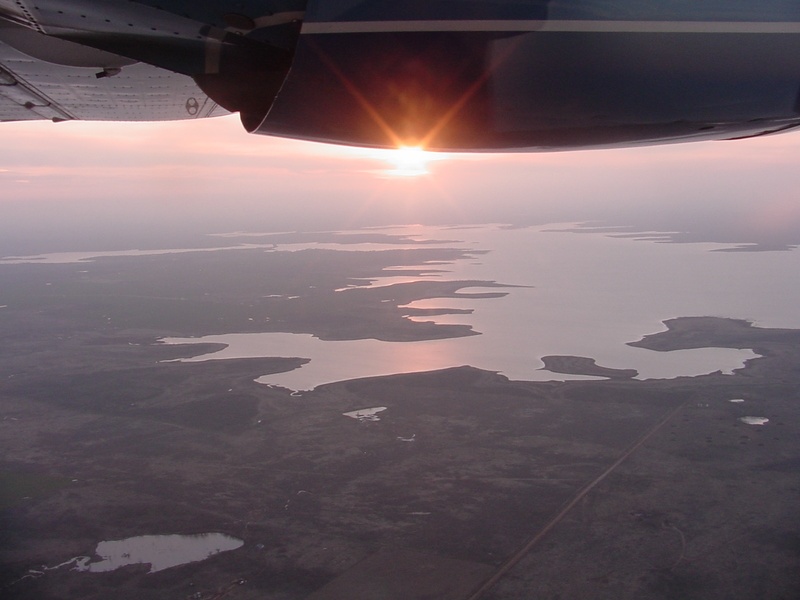 Fish & Wildlife Service, conducts an aerial mid-winter waterfowl survey. In 1998 Texas did a major redesign of their mid-winter survey concentrating efforts on a much larger scale to include major waterfowl and wetland habitat areas of the state using the Nation’s first systematic random repeatable transects style winter survey’s that is statistically valid. In an effort to decrease variability and better track distributional changes within the state we have stratified the state by ecoregion.